Home security is often a major factor in many people’s decision when considering buying or renting a property. As well as this, lots will go to extreme lengths to protect their home by purchasing home security systems and other equipment such as top-of-the-range security cameras. However, it is often the case that people just do not have the time, inclination or money to have these sort of systems installed. One unlucky couple from Essex, Nicola Kerrison and Dean Windsor, may have wished they had done more with the security around their home. They returned from a relaxing holiday in Portugal to find that their home had been ransacked by over fifty teenagers after their son hosted a secret birthday party that went wrong. Upon their return, they were shocked to find that their once spotless home had been totally trashed. They found cigarette burn marks in the carpets and their bed, along with a trail of chewing gum and beer stains throughout the house. Mr Windsor caught the whole incident on camera after he had fitted special surveillance cameras all over the inside and outside of the house. The footage shows that a few of the thugs had gone into the couples’ bedroom, stealing all of Ms Kerrison’s jewellery, along with around £1000 of Christmas savings and Mr Windsor’s birthday money. Ms Kerrison said that her son was truly sorry and had said that his birthday bash spiralled out of control when gate-crashers turned up and stormed the property. If only the couple’s home had operational gates and railings installed, then these thugs would not have been able to enter the property without being allowed in by those in the property. 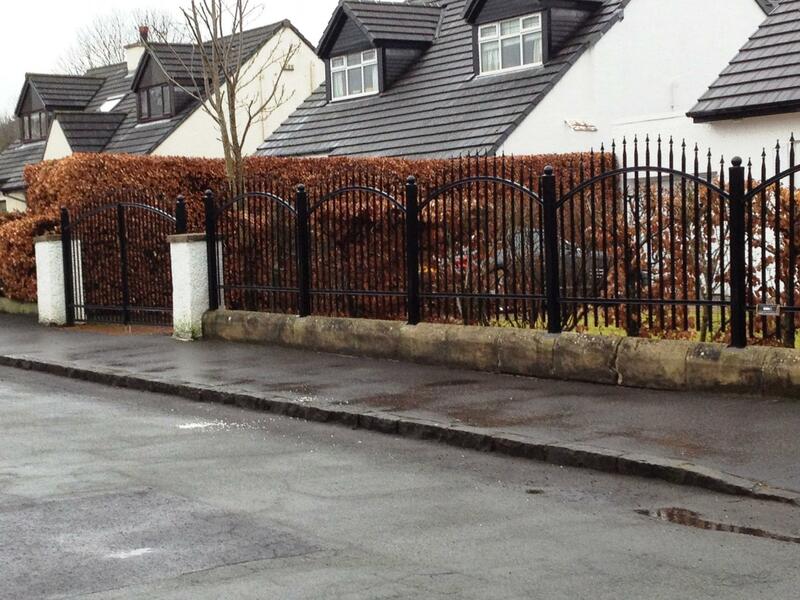 Here at AbbeyGates.co.uk, we offer a range of highly secure gates – ranging from automatic gates to driveway gates – as well as sturdy metal railings. Contact us today for a free quote on any of our products, which could help secure your home and avoid any issues with party gate-crashers.